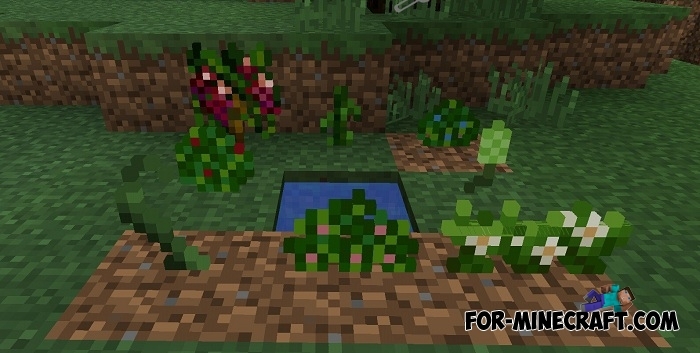 HarvestCraft mod adds plants that can be planted and harvested. But new plants differ from standard ones, here you can grow any plant and harvest as many times as you like (of course, you will have to grow plants every season). 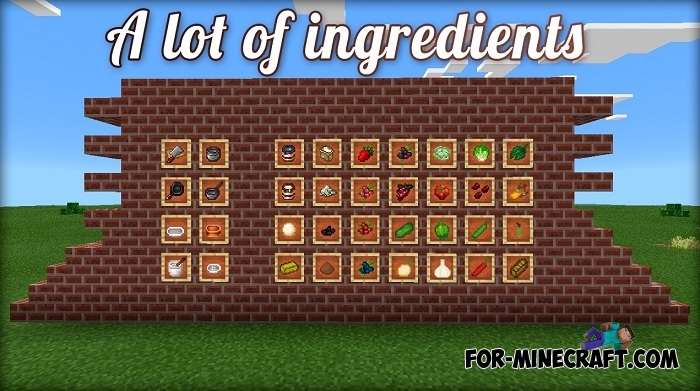 You can craft dishes and tools for cooking and use, harvest and cook an amazing amount of food inaccessible in the ordinary Minecraft PE! 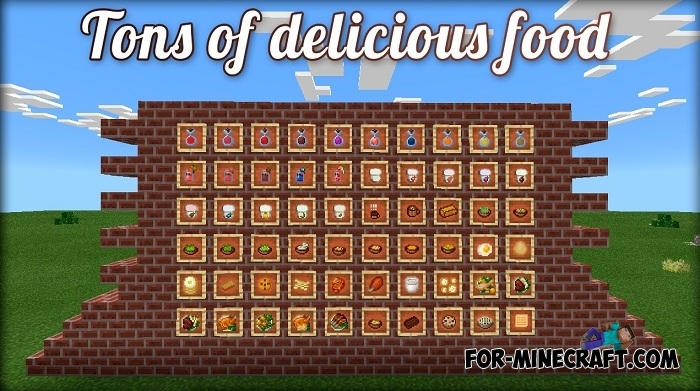 In short, the Harvest Craft mod adds a lot of berries, fruits and vegetables and a bunch of food. Let's start in order. 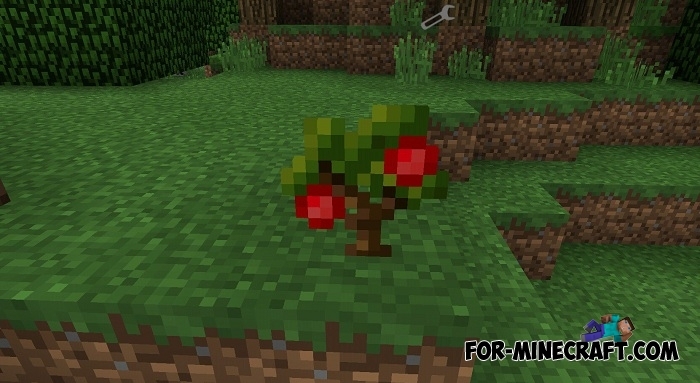 Now the mod generates random bushes in the world from which raspberries, currants, blueberries, blackberries and grapes can fall out (1 to 3 pieces from one bush). Almost completely rewritten code due to large bugs. The mod is completely changed with the ability to add addons. There are some bugs, write comments if you find them. Was written Harvest API, which easily allows you to create animations, drops, etc. Modding guides will be later. Bushes, seeds and most of the code have been improved. Added wells. Using them you will be easier to get water. Added trees. At the moment there is only an apple tree. There is a grass and grass block drop after plowing. 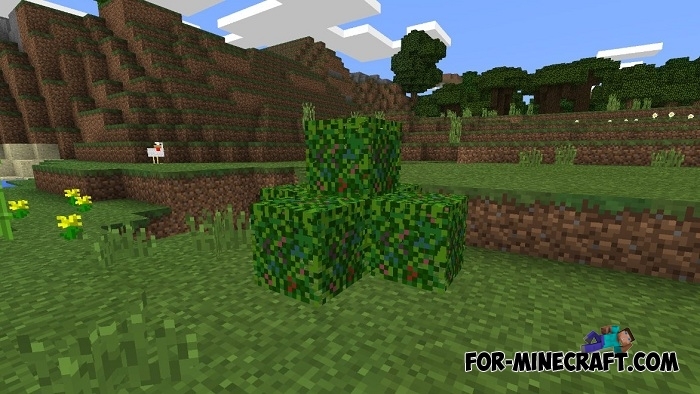 The next thing is a grass bush that spawns with the same chance as berry bushes. Break it and you will get leaves of spices, coffee beans and garlic. The last generation is a forest bush. The bush contains all the remaining vegetables and fruits from the mod. Also, the mod adds one type of ore is a salt block. Break this block and you will get a few slices of salt that is used in cooking. There are more than 30 species of plants that yield and are used in different foods. 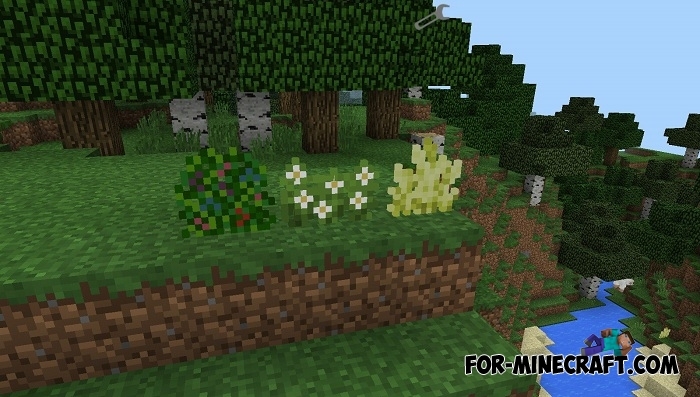 Fertilize your plants with bone meal and they will grow even faster. There are 3 stages of growth, depending on how often you fertilize them. 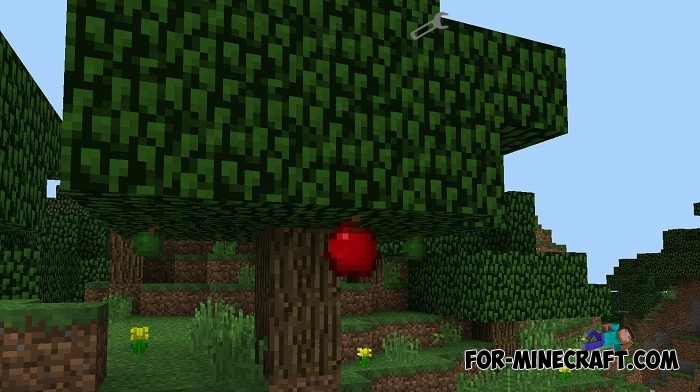 In future versions of the Harvest Craft, fruits will grow on trees and also be used as ingredients. Cookware can be used indefinitely, and is required in almost every recipe. Use cookware for cooking juices, mixes, soups, salads and other delicious dishes. Download and install CoreEngine (link). The crop texture is missing!